Regarding Notice of Motion on Council’s agenda 28th May 2018. Here is the proposal ADOPTED by Cork County Council and the initial response to it – we now expect that Council will move to implement these policy measures. 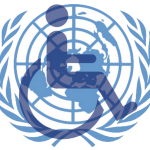 If Government and Minister McGrath do not move to ratify the Optional Protocol attached to the UN Convention on the Rights of People with Disabilities, then they are continuing the inequality experienced by disabled people. Government promised 3 years ago that the Optional Protocol would be ratified, however, it is now placed on the long-finger again. On the one hand Government is telling people with disabilities that they are entitled to equality, but on the other they are saying – if we don’t deliver then that’s just tough luck – you can do nothing about it anyway! Its like telling a child that they can have some cake, but then telling them they can’t eat it! If anything has underlined the behaviour of successive Governments it is lack of accountability. We have key state bodies exempted from freedom-of-information requests, senior civil servants hidden and protected from the consequences of their inaction, massive crimes committed in the property and banking sector and no one in Government, or elsewhere, is called to account. Recent scandals in the health sector underline the point, where is the accountability – who will answer for the wrongs? 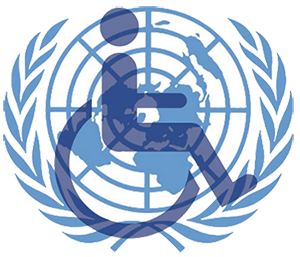 If our state is serious about providing equality to people with disabilities then they should be prepared to be accountable – they should ratify the Optional Protocol of the UN Convention on the Rights of People Disabilities.